Jason Molina & Co. flex their muscles in Brussels on this live set recorded in 2003. To quote a quote: 'Tonight's the night, yes it is'. I was introduced to Jason Molina's Songs: Ohia in the spring of 1998, one of a crowd of about 14 college kids curious enough to stroll to the campus bar for the Oneida/Songs double bill. The brown construction paper photocopied flyers, the subtly Americana-ish monikers, distraction from studies, all the stars were aligned. Songs: Ohia played sitting down, with intensity I didn't know could be launched forth from metal folding chairs. It spurred me to drive 10 miles into town to the nearest ATM and back after the set to get whatever merch they had, anticipating that driving, somehow Sabbath-influenced indie-folk-whatsit on my shelf system. What I got was a surprise, albeit a good one: creaky, terse civil war ballads and dark-night-of-the-soul epics writ in miniature. Even Hecla & Griper, an EP recorded specifically to capture the live band sound they were sporting at the time, sounded spare and nubbly, nothing like the seated roar I witnessed. Over the years, however, that roar grew. 1999's Axxess and Ace expanded their studio sound, stretching out the compact and cryptic forms Molina once traded in into "Hot Black Silk", "Captain Badass", and "Love Leaves Its Abusers". The first half of 2000's The Lioness took the full band sound even further, a more accurate reflection of the aggressive live shows. Quick glances at Songs setlists at the time testify to Molina's prolificacy as a songwriter, and his relentless work ethic. New songs popped up like dandelions; some destined for official release, others for tour-only releases or even just tour only. Finally, in 2001, Italian label Paper Cup released Mi Sei Apparso Come un Fantasma bringing the roar to aluminum. The live document included "Cabwaylingo" from the self-titled debut, among others, the way audiences had been hearing Songs songs for years. Now, Molina's got a new band, a new focus, and a new live album. 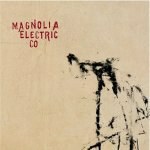 Magnolia Electric Co. reared its Muscle Shoals/On the Beach head on the last Songs: Ohia album, and has now been captured on Trials & Errors. The set, recorded in Brussels in early 2003, features three songs from the upcoming What Comes after the Blues. The opener for both is "The Dark Don't Hide It", a roiling Crazy Horse workout that blazes out of the gates before settling into a workingman's groove. The band immediately distinguishes itself from that of Mi Sei Apparso, most notably in the rhythm section. Bassist Mark Kapinus and drummer Pete Schreiner firmly anchor the twin guitars of Molina and Jason Groth. Earlier incarnations had a tendency to sound unwieldy, or uncomfortable in the songs' skins. But Magnolia thunders through each number with burly confidence. The fact that the material is stronger and better suited for the arrangements also helps. Molina songs generally take a single chord progression and pummel it into the ground for six or seven minutes. I say this with admiration, because over the past few records he's come close to perfecting that method. As Molina's voice has accumulated gravity, his melodies have also improved to where they make the underlying progressions worth repeating. "Such Pretty Eyes for a Snake", for example, might have been little more than a nine-minute improvisation if it were written a few years back, barely worth replaying. Molina's lines swerve in and out like the serpent of the song's namesake with little indication of pattern or reason. But the band now has a keen sense of dynamics and drama, marking the song with cliffs and inclines that keep the singer's rambling lyrics from blurring into a cloud, and the song from becoming an indulgence. The nocturnal "North Star" and "Leave The City", also slated for After the Blues, more than whet the appetite for that project. The former is a trucker anthem, heavy with the stoicism and loneliness of the road, "I heard the north star saying / Kid you're so lost even I can't bring you home". "Leave The City", which puts a mournful trumpet in Kapinus's hands, also invokes Polaris, "I have seen the north star / Shining in the freight yard". The song documents Molina's exodus from Chicago with a tough earnestness, "It broke my heart to leave the city / I mean it broke what wasn't broken in there already / . . . It's true it was a hard time that I came through / But it's made me thankful for the blues". The last song, "The Big Beast", is as apt as any to close the night. "Every single night I think it's almost over / The mess we're in / Every single night I hear the great beast howling". Is the beast the "wolf-headed conjurer" of "Cross the Road", or the serpents and hounds of "Ring the Bell"? Molina rails about "all the things they keep doing in our name", asking "Wouldn't you like to see the whole place a wreck/ And build back out of something we might all respect?" By the end of the night, the beast is not an animal, but a direction, a tendency, a historical downhill slide. One that society as we know it might be on, but which it's clear Magnolia Electric Co. is not.